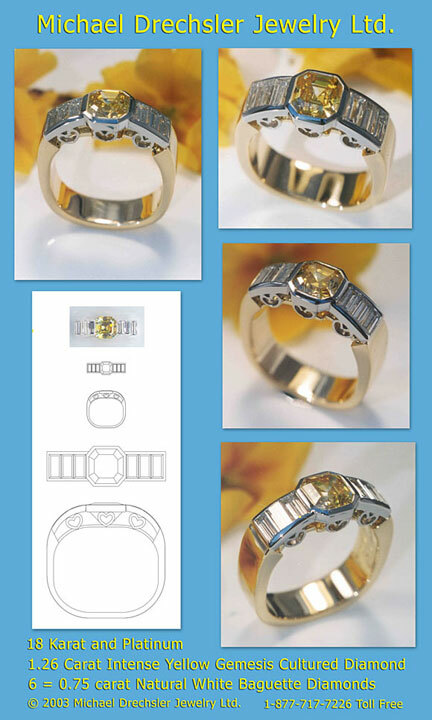 18 Karat and platinum band featuring a 1.26 carat, asscher cut, intense yellow, lab created diamond and six natural diamond baguettes. 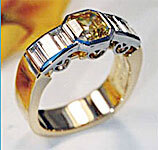 Platinum hearts decorate side of ring. 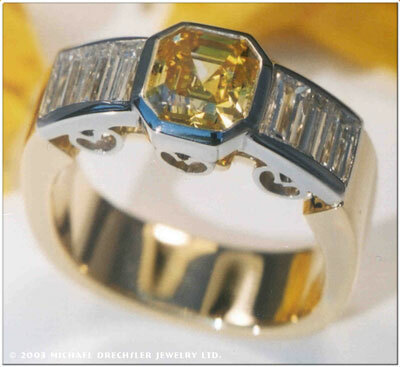 Custom designed with 2.01 carats total diamond.